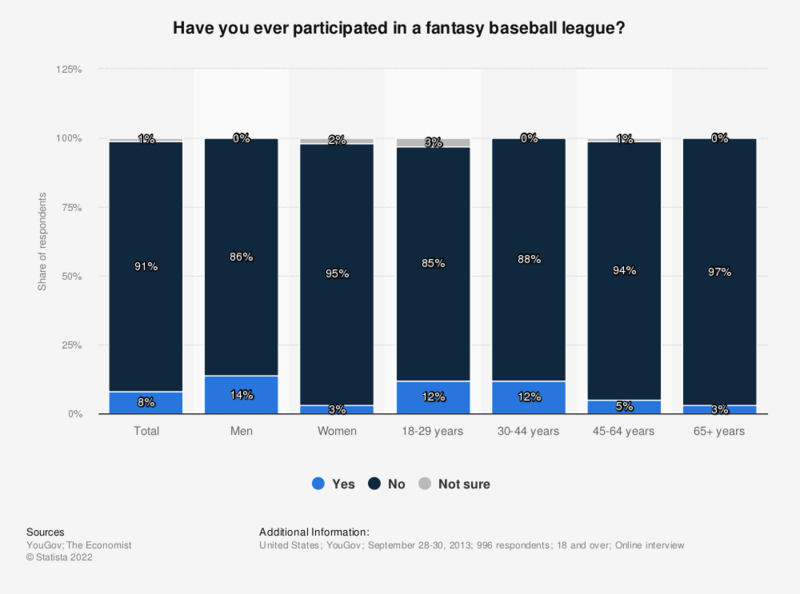 The statistic shows the results of a survey concerned with the participation in fantasy baseball leagues in the United States. 8 percent of all respondents said that they have participated in a fantasy baseball league. Are you a fan of professional baseball, or not? Has a close family member ever participated in a fantasy baseball league? How many professional baseball players do you think use performance-enhancing drugs?